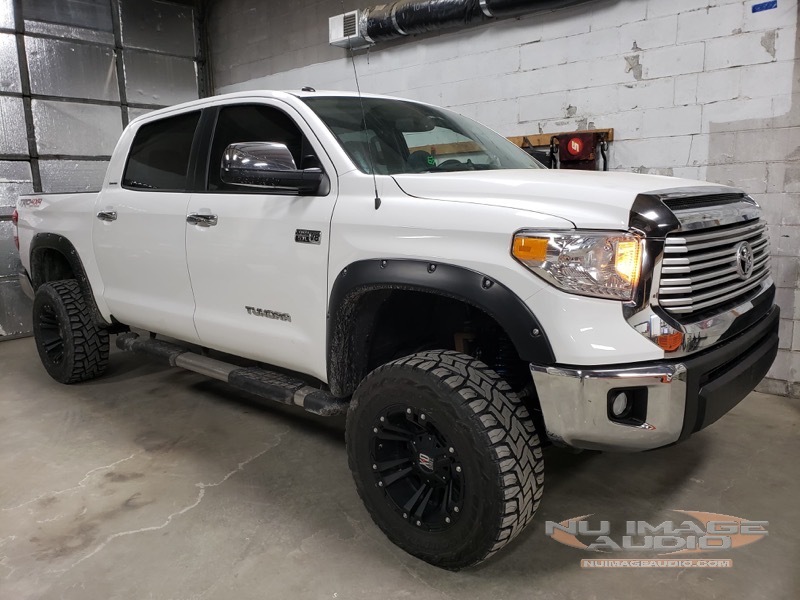 A client from here in Salina recently visited Nu Image Audio to inquire about upgrading the audio system in his 2016 Toyota Tundra. The truck came with the premium JBL sound system, but the client wasn’t impressed with the sound quality, volume capability or low-frequency performance of the factory-installed audio system. 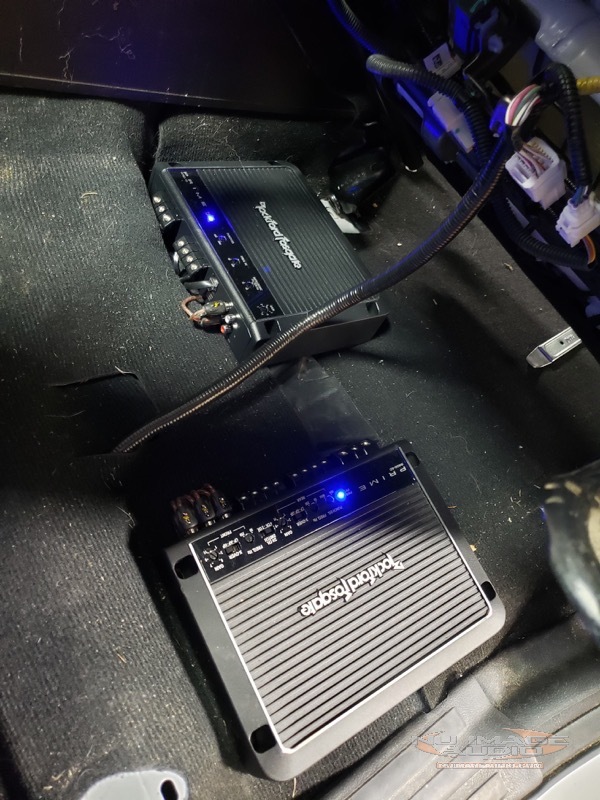 After inspecting the vehicle and working with the client to audition several products in our showroom, we designed an upgrade that would deliver the sound system performance he wanted. 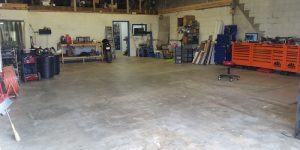 Let’s take a look at the upgrades we performed. The Sony speaker upgrade was a huge improvement in sound quality. The first step in upgrading the sound system in this Tundra was to replace the factory-installed speakers. 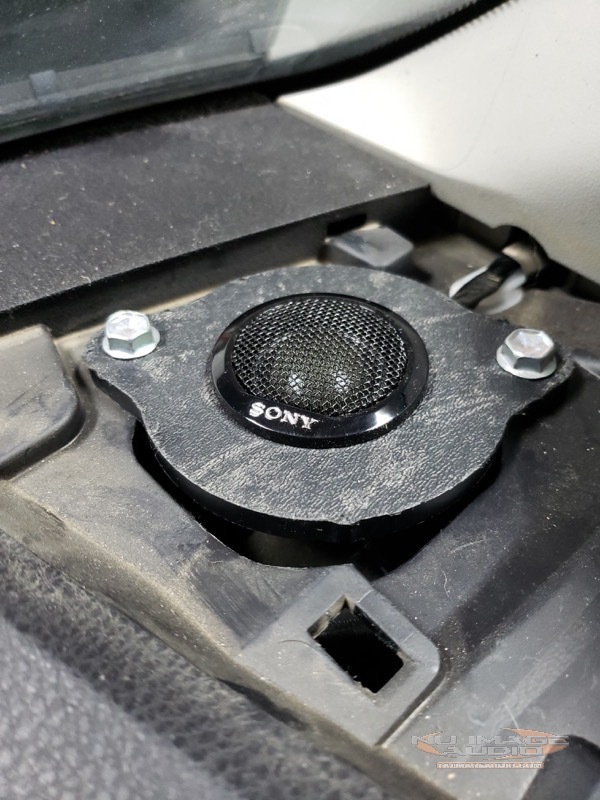 We removed the stock equipment and fabricated a set of ABS plastic mounting adapters so we could install a set of 6.5-inch Sony XS-GS1621C components in the front doors and dash locations and a set of matching XS-GS1621 6.5-inch coaxial speakers in the rear doors. The Rockford Fosgate amplifiers provide the system plenty of power. Next on the list was to upgrade the Tundra with a pair of Rockford Fosgate car audio amplifiers. We mounted a Prime-Series R400-4D four channel amp and a matching R750-1D subwoofer amplifier under the driver’s seat. The four-channel amp produces up to 75 watts per channel to drive the Sony speakers. The monoblock serves up an impressive 750 watts to drive the new subwoofers we installed in the vehicle. 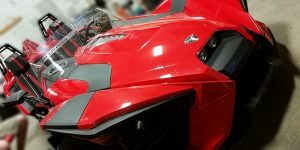 The R750-1D comes with a remote level control that we installed in the front of the vehicle to make it easy to turn the subwoofers up and down relative to the rest of the system. The Hertz subwoofers really gave the system the low end output it needed. Thanks to the thin profile of the Hertz Energy subwoofers, we were able to fit them behind the seat. The last part of the project was to construct an enclosure for four Hertz Audio Energy Series ES200.5 8-inch subwoofers. The compact enclosure fits nicely behind the driver’s side of the rear seat and doesn’t interfere with its operation. With the subwoofers installed, the last step was for our technicians to set the crossovers and sensitivity controls on the amps to work with the speakers in the vehicle and the factory source unit. This is an important step in ensuring the system sounds great and plays loudly without distorting. The client returned to Nu Image Audio, excited to hear the new audio system we had installed in his Tundra. We hopped in and right away, he was thrilled with the upgrades we performed. The system plays nice and loud and the bass is rock-solid. The new Sony speakers reproduce midrange and vocals with impressive clarity and detail. 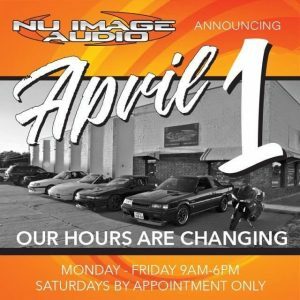 If you are in the Salina area and are looking for help in upgrading the sound system in your car, truck or SUV, drop into Nu Image Audio or send us an e-mail using our contact page.